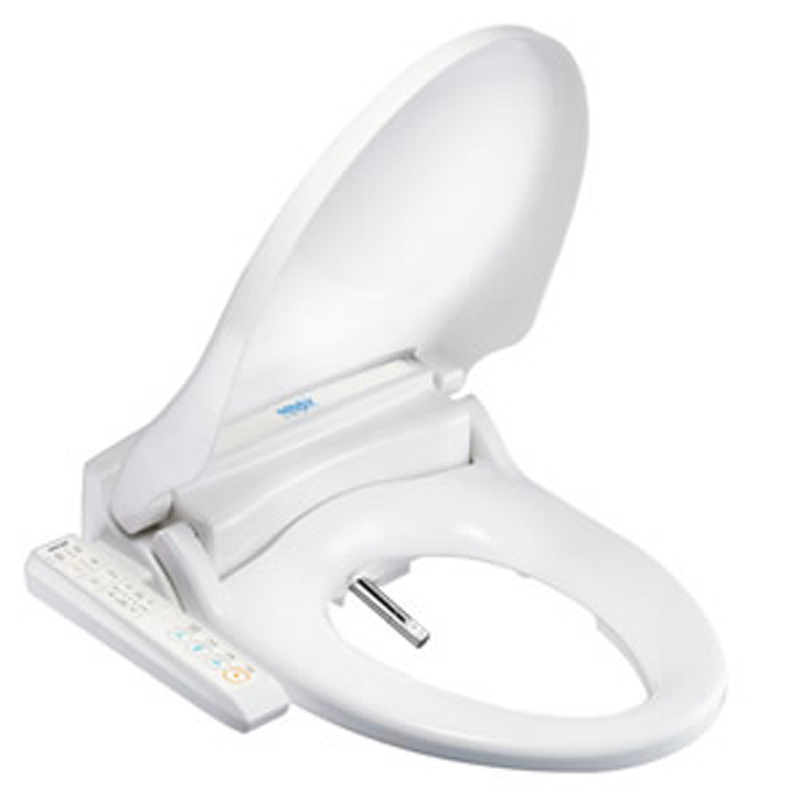 If you are looking for the best bidet seat you can buy, look no further. The Novita BH-90 BH-93 bidet seat is our most popular luxury bidet seat with features and functions customers like you have demanded. 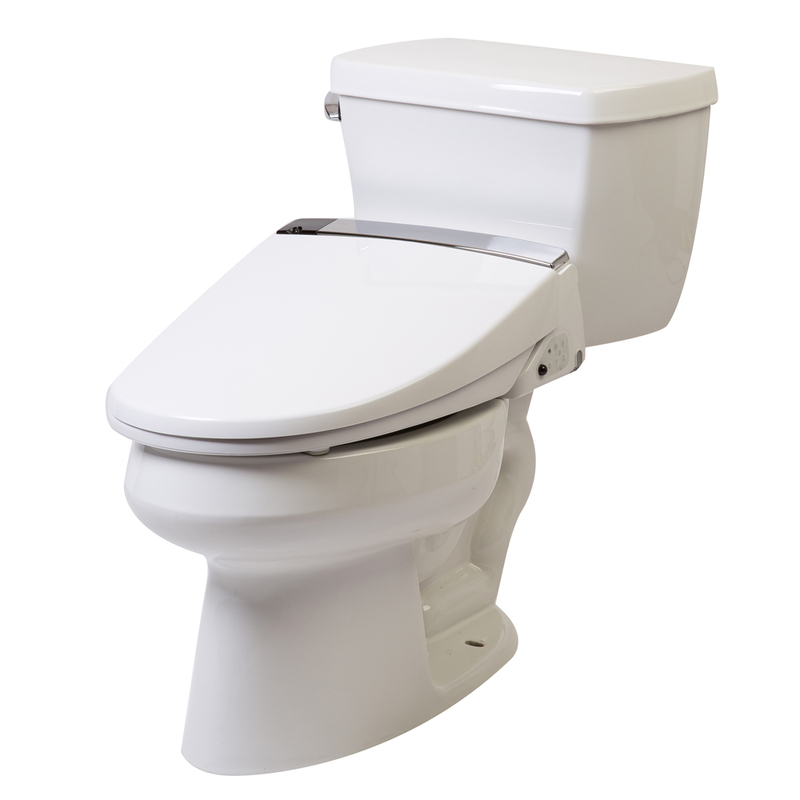 Built by Kohler-Novita, the Novita BH-90 BH-93 bidet seat is backed by a full three year warranty. 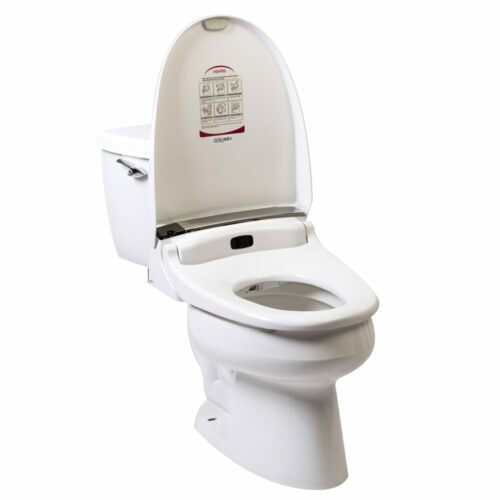 With features few other bidet seats can even approach, you will be proud to show off the latest addition to your home. 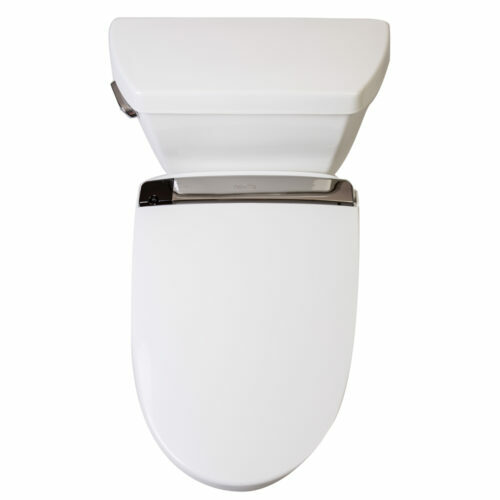 Stylish curved lines, chrome metal accents, “light-touch” backlit remote control and an automatic opening lid will add a touch of class to your bathroom ensuite. 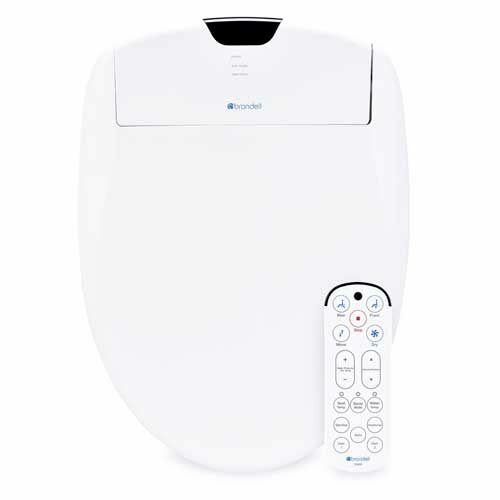 Oscillating wash nozzles, air bubble injection, efficient warm air dryer and convenient, auto closing lid will remind you that quality and class can beautifully coexist. 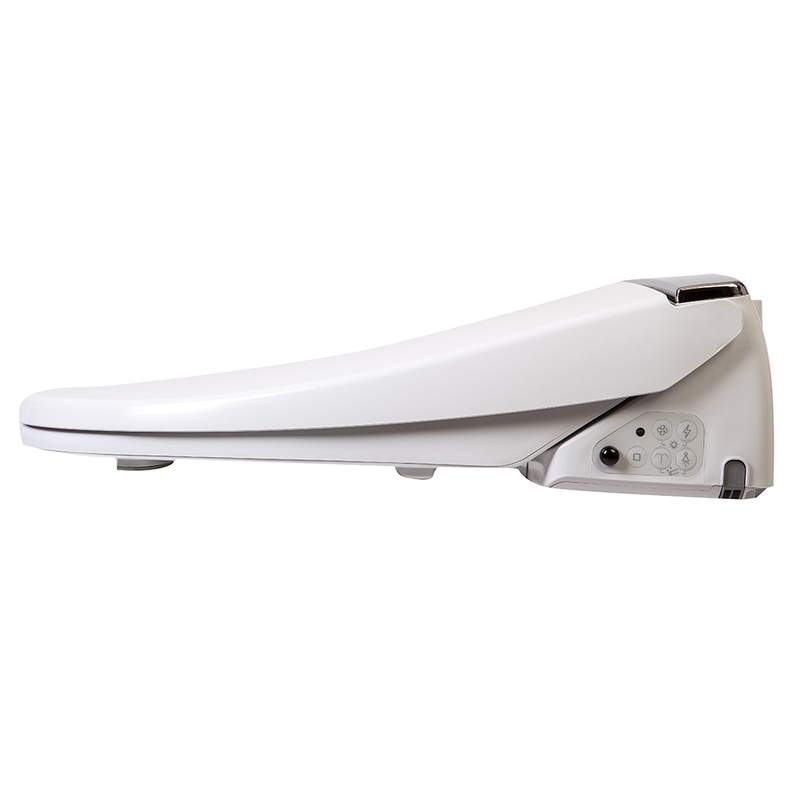 With it’s Auto Opening and Closing Lid, we like to call the Novita BH90/93 the “Marriage Saver“! 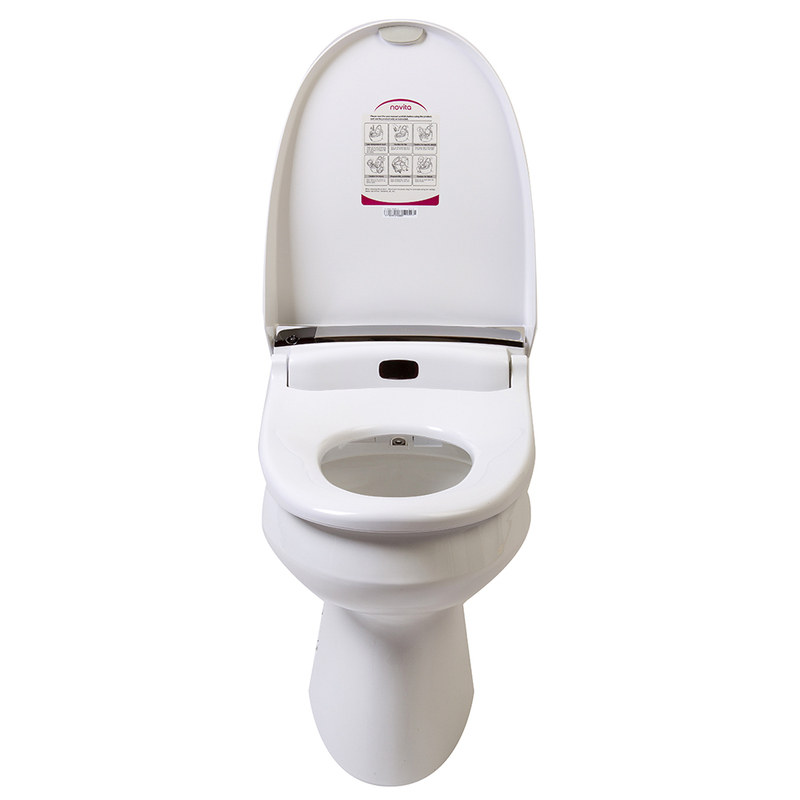 The Novita BH-90 BH-93 bidet seat offers the best in class quality and advanced functionality. 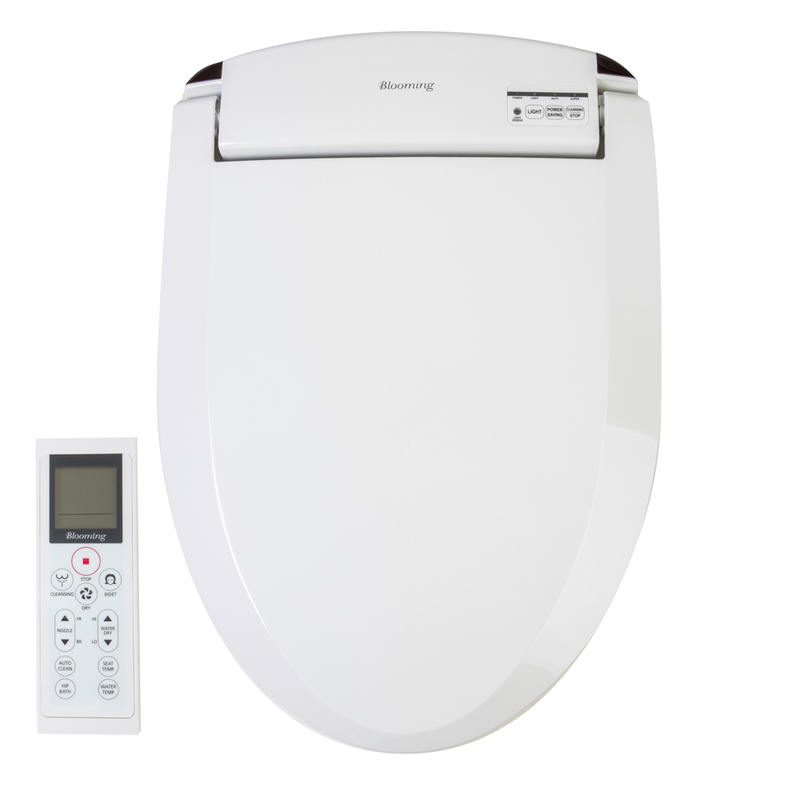 It features the latest an instant, TFR water heating technology for unsurpassed temperature control and endless warm water. The “easy-touch” remote control mounts to any fixed surface, allowing you to operate your bidet at the touch of a button. You may also remove the remote from its mount and hold it conveniently in your hands. 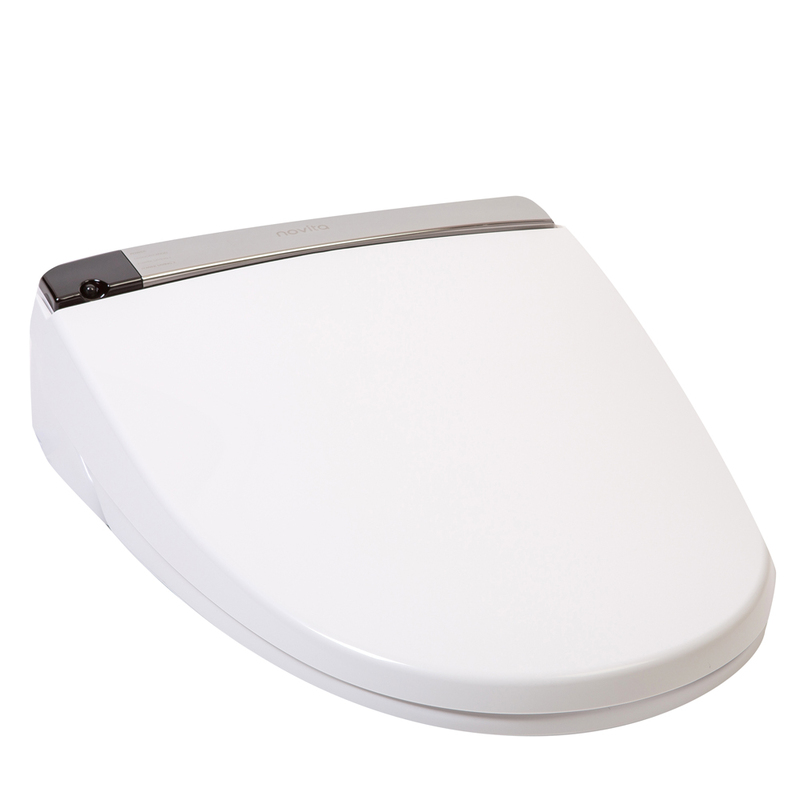 Everything about the Novita bidet seat and remote speaks of elegance and grace. 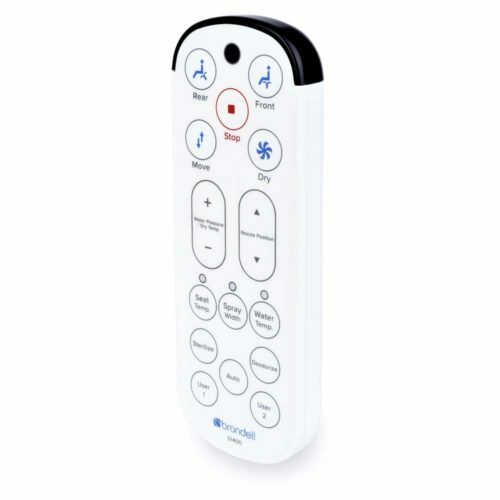 From the chrome metal stainless steel inlay, to the stylishly curved remote with backlit LCD screen. This bidet is the only model we have with a backlit remote control to allow easy “middle of the night” use. 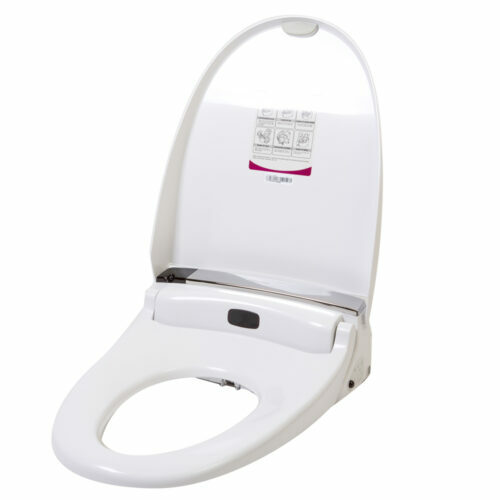 With the automatic opening feature, as you approach the Novita BH-90 BH-93 bidet seat it will gently and quickly lift the lid, freeing you from having to touch the toilet seat or bend over. 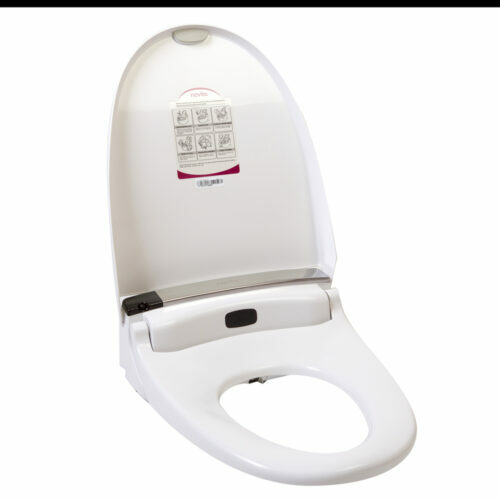 For the men, lifting the seat is accomplished with the touch of a button and when you’re finished, simply walk away and the Novita BH-90 BH-93 bidet seat will automatically close after two minutes. You never have to touch the seat or lid again. 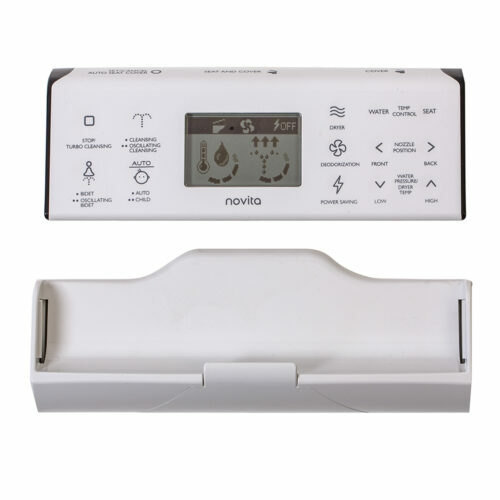 Mindfully designed from the drawing board, the Novita BH-90 BH-93 bidet seat has twin stainless steel wash nozzles and silver Nano coating for water sterilization. 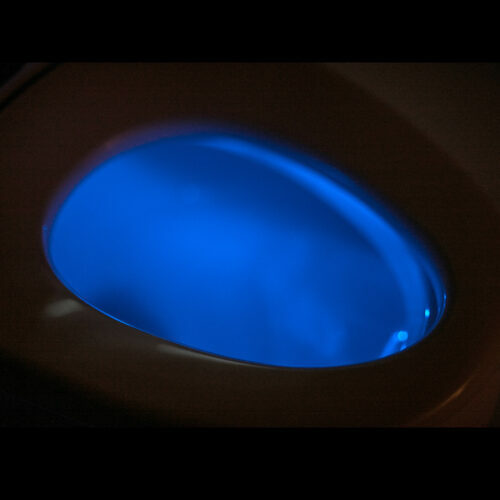 The pleasing blue LED safety night lights allow you to safely navigate to the toilet without having to jar yourself, or others, awake by turning on bright room lights. Unique to this model is a powerful yet quiet odor neutralizer that eliminates unpleasant odors from the bowl area. 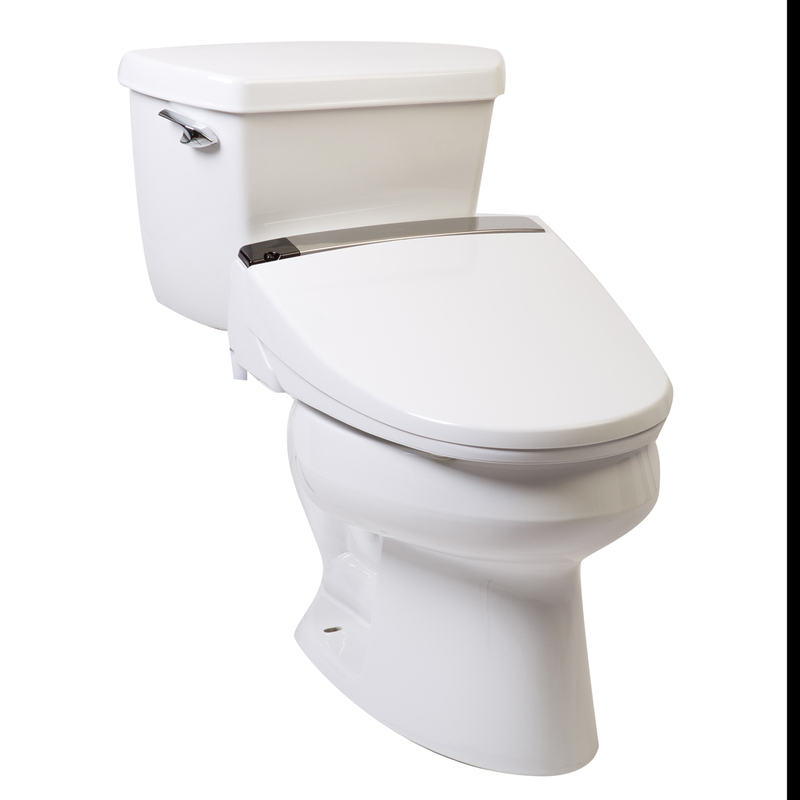 Many bidet seats are heated, but the comfortable, wide seating area of the Novita BH-90 BH-93 bidet seat evenly distributes the pleasing, radiant heat so well, you’ll actually look forward to sitting down. 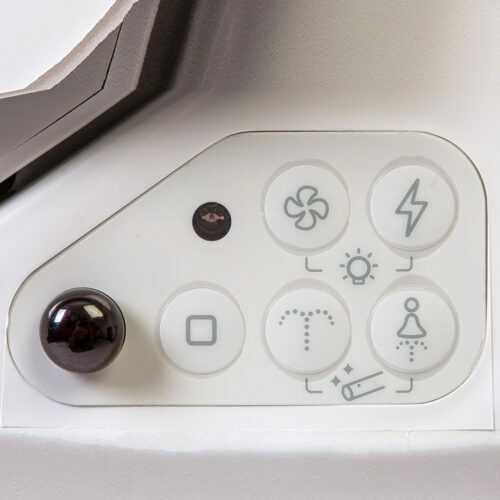 Attention to detail describes this bidet, from it’s initial design to the packaging. The factory triple checks each component during the assembly process to ensure not only are the components sound but they are also working when put in place, connected to other components and tightened down. 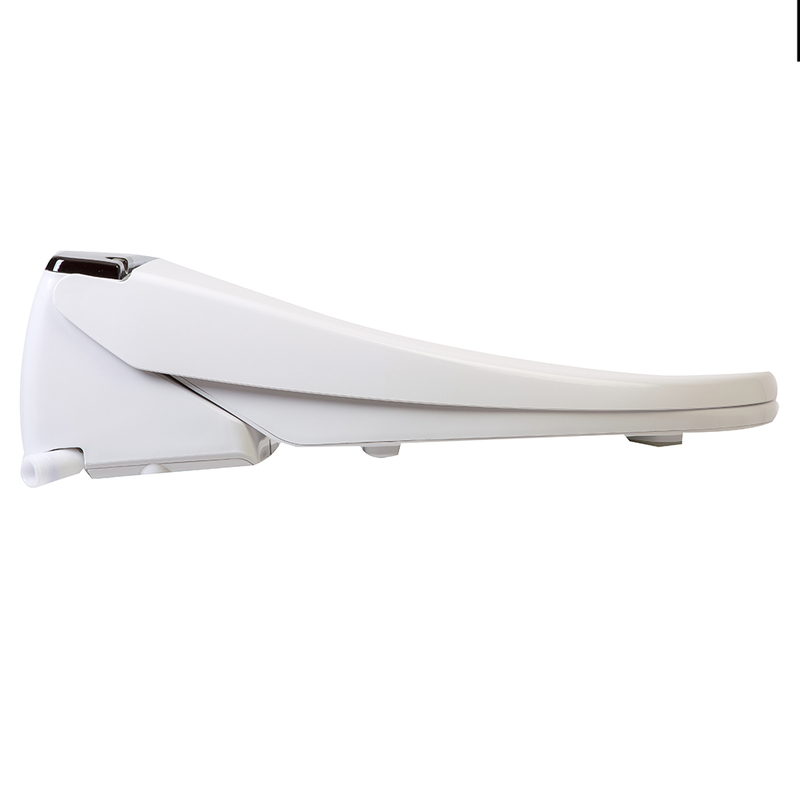 After taking such care to assemble a quality product, they finishing department carefully applies protective sheeting to the polished surfaces, inserts cushy spacers between joints, packages the unit in an individual plastic bag and gently inserts the finished product in shock absorbing Styrofoam box inserts. All of this adds up to an industry leading full three year warranty. On top of that, Clear Water Bidets is an authorized service and warranty center so you never have to deal with anyone else! The Novita BH-90 BH-93 bidet seat was designed with elegance in mind. The Novita BH-90 BH-93 bidet seat will add a modern look to your bathroom decor and the health benefits of hands-free, warm-water washing. 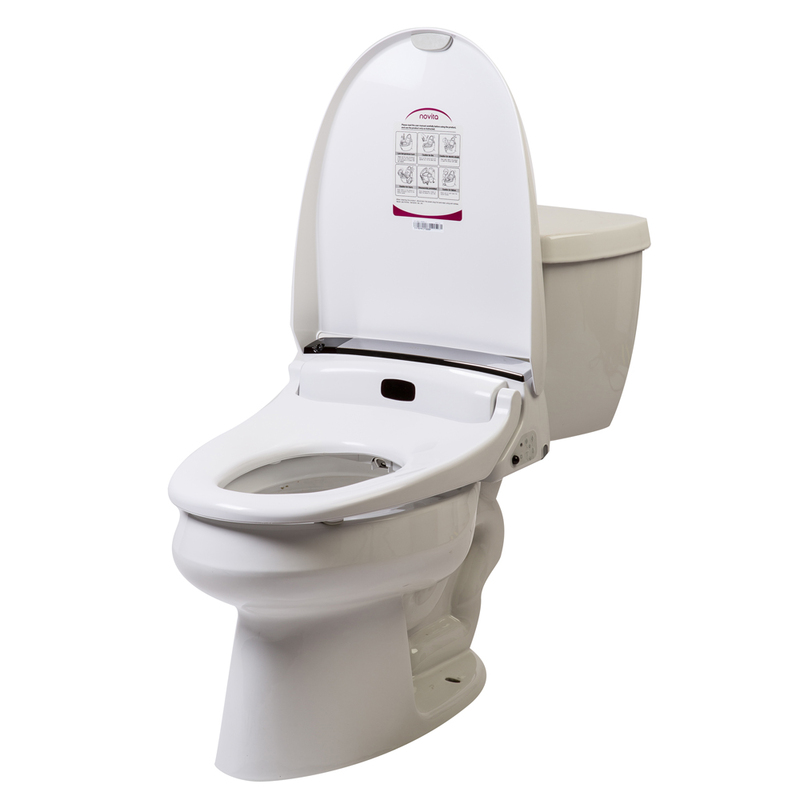 The most comfortable, strongest bidet seat on the market today. This product is amazing. I really like the ability to change the warmth of the seat surface, and the water temperature at the seasons change. The operation is flawless and very easy to use. Clearwater Bidets is a great company and their service is flawless. 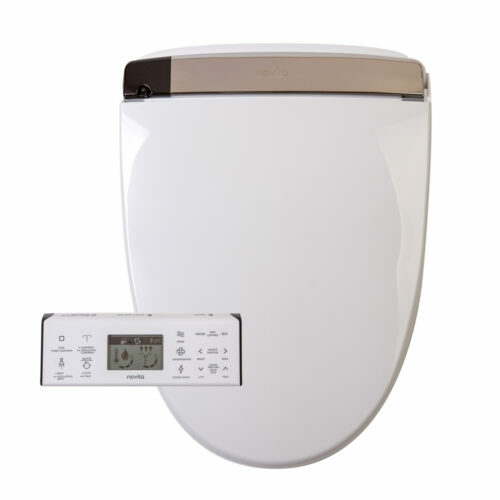 We love our bidet, very satisfied. No problems using it, thanks!